Our last day in Hoi An and we started the day with another Banh Mi. We had a couple of tasks, first paying and picking up the custom-made coat and dress. Picked up we then send some of them in the post back to England, which was a little expensive but not so that it made getting the clothes made too expensive. We then headed to grab a coffee, something that John was slowly getting addicted to. Strong coffee with sweet condensed milk. 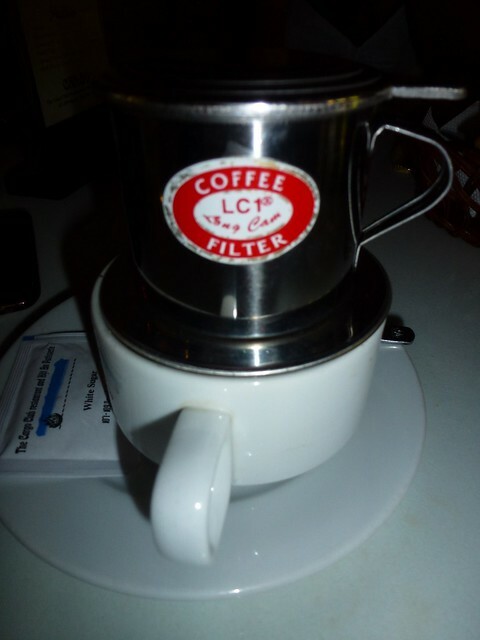 Vietnamese strong coffee with sweet condensed milk. We then headed down to the river to read …. and more importantly more sugar cane drink. 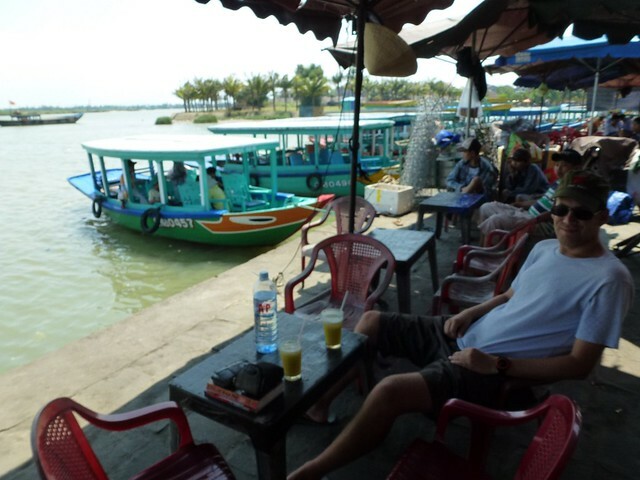 We packed up our stuff and then back on the overnight bus further south to Nha Trang. 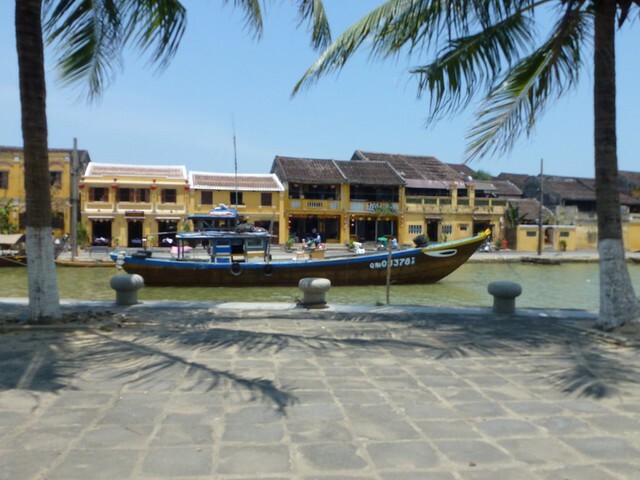 This entry was posted in Vietnam and tagged cofee, hoi an, Nha Trang, reading. Bookmark the permalink.